Twitter is a wonderful platform on its own, but if you want to optimize your Twitter marketing strategy, you need to do more. It takes a lot more than publishing a few tweets, retweeting certain tweets and replying to direct messages to grow your audience in a meaningful way through Twitter. We’ve rounded up 12 of the best Twitter marketing tools you can use to grow your audience. Not all of these tools are alike. Some allow you to manage your Twitter account as a whole while others help you promote your content by getting it in front influencers in your niche. Sendible is an all-around social media management tool that allows you to manage accounts from a variety of different platforms. This, of course, includes Twitter. With the Twitter integration, you can schedule tweets, monitor mentions and answer direct messages. You can even access lists. You’ll manage everything from a centralized dashboard. It includes every stream from every account you integrate. There’s a priority inbox that identifies important messages and mentions, and you can even filter the stream so only Twitter displays. One of the most useful aspects of this tool is the ability to schedule social media posts ahead of time. You’ll do this by creating an original post and tweaking it to suit each individual platform. Sendible also allows you to monitor your brand’s status on Twitter by integrating analytics from your account and keeping you up to date with mentions of your brand. There’s even a pretty neat feature that lets you browse trending content in your niche. This gives you the opportunity to retweet, like or respond to shareable content related to your brand. Price: Plans start at $29/month or $288/year. All plans come with a 30-day free trial. 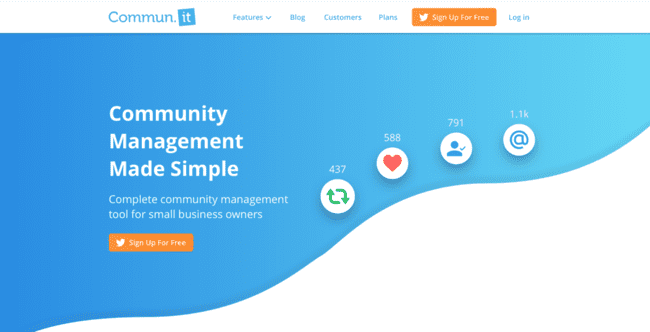 Commun.it is another social media management tool, only this one supports Twitter exclusively and is focused on engagement. It uses a simple yet intuitive dashboard that’s broken down into six main sections. The first is the Inbox, which allows you to manage your mentions in a much more efficient way by marking them as “replied to,” “reviewed” and more. This section also allows you to monitor mentions of your brand. The Followers section gives you access to data on the relationship you have with individual subscribers. You’ll be able to recognize unfollowers, influencers and other accounts the software suggests for you to follow as well as your history with users. You can search for tweets based on keywords in the Leads section. The Content section features shareable content you can retweet and curate for your audience. Of course, you can also schedule posts and view your analytics, which are the final two sections. Price: You can get started for free with a single social media account. Premium plans start at $19.99/month. There’s also a 14-day free trial. Agorapulse is another all around social media management tool. This one caters to five major social media platforms, including Twitter. 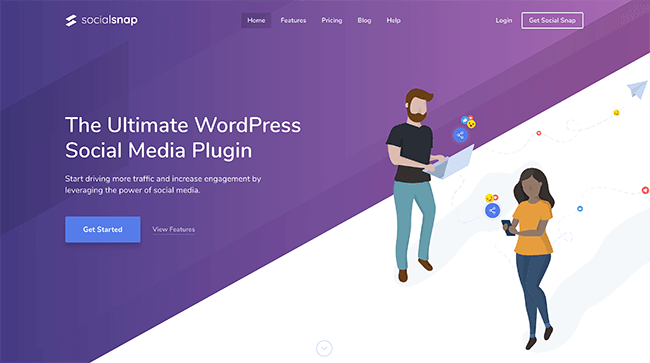 Its features start with a dashboard that allows you to manage mentions and messages from various platforms in powerful ways, especially if you have an entire team managing your social media accounts. Most intriguing of these is an automated system that allows you to organize messages by topics and assign messages to certain team members automatically. You can also queue up several posts and schedule them to be published at a later date and time. There’s even an “Evergreen” option that gives you the ability to have certain posts queue up several times. You can also monitor mentions of your brands, and the software will even spot angry posts from customers for you to give you a chance to mitigate fires before they become infernos. A pretty unique feature assigns labels to your followers so you can spot your most engaged customers. Other features include powerful collaborative and analytical tools. Price: Plans start at $49/month or $468/year. A 28-day free trial is available for most plans. TweetDeck is a Twitter management tool built directly into Twitter itself. You can access it with your Twitter account by navigating to tweetdeck.twitter.com or downloading the Mac app. The Windows app is now defunct. It started as an independent app and was eventually purchased by Twitter for $40 million. The tool is essentially an extension of the Twitter dashboard, allowing you to manage your main account and several additional accounts more efficiently. The interface is a simple dashboard filled with columns you can add, remove and rearrange yourself. You can schedule tweets and monitor mentions, messages and individual lists. You can even add individual keywords as columns. Every tweet featuring a particular keyword will appear in its designated column, though you can configure a few filters to narrow the list down. You can also build collections of individual tweets. Awario is a different type of social media management tool than the other ones featured thus far. This one focuses on social listening and social monitoring as a whole. Its primary tool allows you to monitor individual mentions of keywords across multiple social media platforms. This includes Twitter. The feature essentially allows you to monitor mentions of your brand on social media as well as any popular topics surrounding your niche. One of its most powerful features is its ability to spot potential leads. One of the ways it does this is by alerting you of any tweets that ask for recommendations of a product or service that’s similar to yours. There’s also a system that monitors your messages and mentions. You can filter the results to only show Twitter. You can also organize them by choosing how you’d like to interact with the tweet. Your options include replying, blocking or deleting. There are also several pieces of analytical data you can look at. Filters are available as well. They even come with a unique feature that allows you to create custom filters using boolean logic. Price: Plans start at $29/month or $290/year. A free trial is available for the cheapest plan. Social Snap is a WordPress plugin that integrates with over 30 social media platforms, including Twitter. It helps you grow your audience and social reach by making your content more shareable. It starts with social share buttons you can place throughout your site, especially your blog. These buttons come in various styles and can be placed in several locations on your site. The plugin supports Twitter Cards when it comes time for you to share your content. This integration allows you to control the way your tweets appear on Twitter. You can customize your tweet’s image, title and description. A few plans come with an Auto-Poster add-on that allows you to post a tweet every time you publish a new blog post. Another add-on, Boost Old Posts, works in the same way, except it breathes new life into old posts by re-sharing them to social media automatically. You can also encourage your followers to share your content on Twitter with Social Snap’s click-to-tweet tool. Lastly, you can monitor your progress as you work on your Twitter marketing strategy with this plugin’s built-in analytics. Price: Plans start at $39/year. A 30-day free trial is available as well. Click to Tweet is a simple tool that allows you to create shareable links your audience can use to tweet your content with ease. All you need to do is configure the content you want your followers to share (including an image, description and link), create your link, sit back, and wait. You’ll have access to stats that allow you to see how many people are clicking your shareable links as well as the links inside of the tweets you configure. You can use the tool in three ways. The first two involve you creating your configured tweet and pasting the embed code the tool generates wherever you want the shareable link to appear. If you have a WordPress site, you can install the free plugin and generate links from the WordPress editor. Price: Click to Tweet is free for up to five links per month. Premium plans, which offer an unlimited number of links, are $4.97/month or $49.70/year. 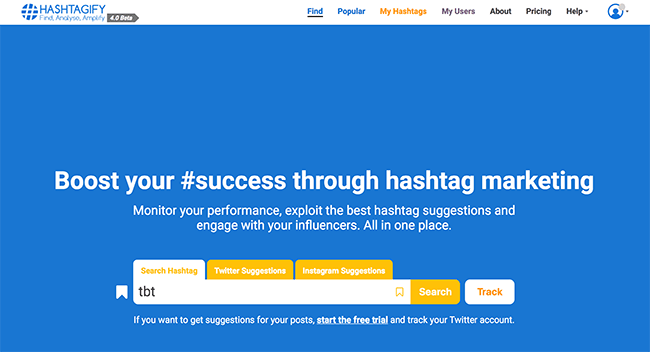 Hashtagify is a tool that allows you to view stats on hashtags from Instagram and Twitter. You can preview the tool by entering a hashtag on the homepage. That’s essentially how this tool works. You input a hashtag you’re interested in using, and the tool generates stats for it. These include the popularity of the hashtag, whether or not it’s trending, related hashtags, top influencers who rank for your specified hashtag, and more. The premium version features a full report on each hashtag you look up, which includes even more stats. You can also monitor individual hashtags. Price: Plans start at $29/month or $228/year. A 7-day free trial is available for all plans. One of your main goals for Twitter marketing likely involves getting your own content in front of more people. However, curating content and sharing other people’s content is an effective strategy you can use to grow your own social reach. Paper.li is a tool that allows you to collect and curate content with ease. You’ll build your “newspaper” with curated content from social media and the web. This tool supports several social media platforms in that way, including Twitter. Once you’re satisfied with all of the content you’ve collected for your “issue,” you can deliver it to your audience. You can do this on social media, a web page or through your email list. Price: You can get started with Paper.li for free. The premium plan costs $9/month. Tweriod is a simple tool you can use to determine the best times to publish tweets. It allows you to see the times of day your tweets are most likely to receive the highest number of engagements. It does this by analyzing your account as well as your followers’ accounts. It’ll use stats from your own tweets as well as stats determining when your followers are most active to generate a report at least once a month. Free accounts receive basic reports while premium users are given more detailed stats, even by the hour. You’ll even receive a PDF version of your report. Price: You can get started with Tweriod for free. Premium services start at $5/report or $3.99/month. 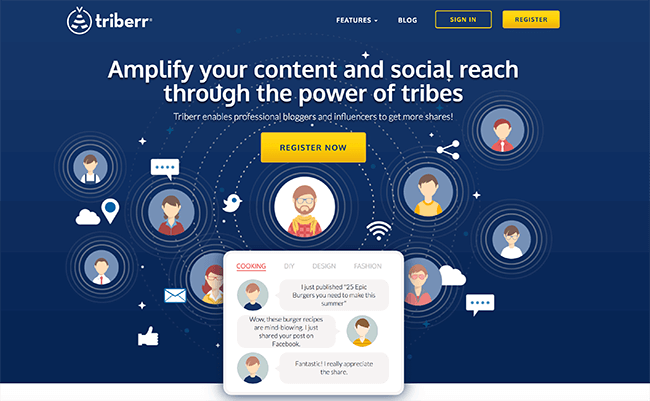 Triberr allows you to grow your social reach and become more influential by connecting you with other influencers. You’ll do this by joining “tribes,” which are social groups filled with other influencers in your niche. The purpose of these tribes is to share your content with individuals who may or may not have a meaningful level of influence in your niche. You do this by promoting your content to your fellow tribemates, who are encouraged to support one another. You can add several scheduled posts to a queue and even curate shareable content. Basic analytics are included as well so you can see how many clicks a particular post receives as well as who has shared your content. 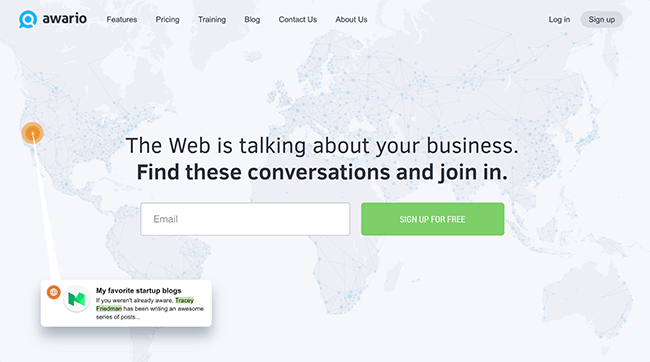 Price: You can get started with Triberr for free. Premium plans start at $20/month or $216/year. While anyone can use Triberr and have their content shared by influencers, Quuu Promote is a little more exclusive than that. The cheapest plan only allows you to share one piece of content per month, and it must be approved by the team at Quuu Promote. Once your content is approved, it’ll be shared to Quuu’s audience. This is filled with individuals who have opted into receiving curated content from the platform. Every promotion remains live for 30 days starting with the day it was first promoted. It can be promoted continuously once that period is over, and there’s no expiration date. You can even receive an unlimited number of shares, clicks and all around engagement no matter which plan you choose. Price: Plans start at $40/month. Which Twitter marketing tools should you pick? The tools in this list are heavily diverse. While it’s great that they provide so many different ways for you to use one of the most widely used social media platforms, it can make it difficult to decide which ones to use. Is your primary goal to grow your influence and expand your overall network? Take a look at Triberr and Quuu Promote. These tools will help you become more influential by allowing you to get your content seen by the top influencers in your niche. Like I said, Triberr is a lot easier to use since Quuu Promote is more of an exclusive platform. It also has networking features built in, giving you opportunities to form relationships with other influencers in your niche. Plus, it’s cheaper. 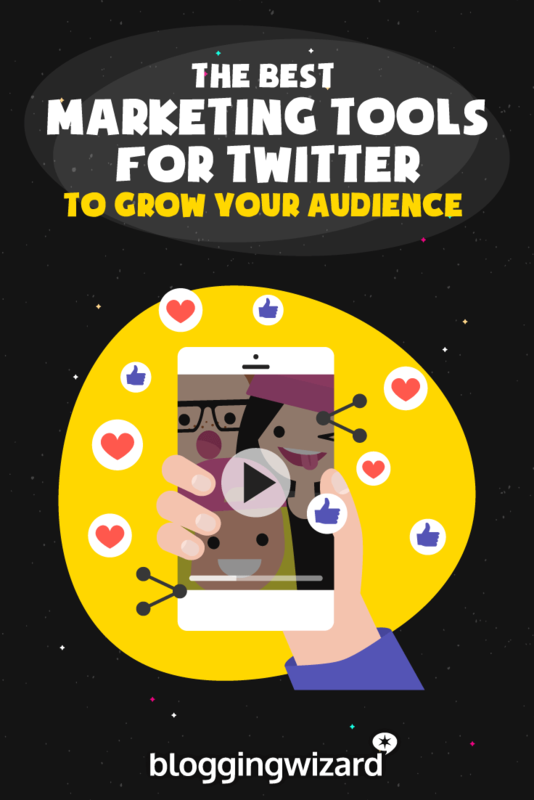 Be sure to read our guide on how to grow your following on Twitter for more help in this region. Do you want to increase engagement on Twitter? In terms of likes, replies and brand mentions, have a look at Hashtagify, Click to Tweet and Social Snap. Hashtagify, of course, will identify trending hashtags in your niche to help you increase the number of people who see and interact with your tweets. Social Snap is a WordPress plugin that’ll help you make content on your site more shareable. It includes a click-to-tweet feature in addition to social share buttons and scheduling tool, but if you want to simplify things, look at the Click to Tweet tool itself. As a side note, check out our post on the best social media contest tools to use if you want to engage your Twitter followers even further. Do you want to be able to monitor your brand on social media? It’s important for you to monitor your brand on social media. It’ll help you mitigate simple customer service issues before they have a chance to ruin your brand’s reputation. For this task, Awario is your best bet. It’s a dedicated social listening tool that allows you to monitor mentions of your brand and specific keywords on social media. It also has a fairly advanced feature that spots potential leads for you. If you’d like to learn more, be sure to check out our post on powerful social media monitoring and listening tools. Do you want a Twitter marketing tool that allows you to manage your account and customer interactions more efficiently? If you’re juggling a bunch of social media accounts, you’re probably in need of a social media management system. Sendible, Agorapulse and Commun.it can provide that for you. If all you’re looking for is a simple but all-inclusive social media management tool, at a decent price, look at Sendible – this is the tool we use at Blogging Wizard. Commun.it is a dedicated Twitter tool that, in addition to social media management features, allows you to see the relationships you have with certain followers and identify leads. You can always find more tools like these in our post on the best social media management tools. Overall, we hope this post introduced you to a few new ways you can take control of your Twitter marketing strategy. Want a powerful but free Twitter marketing tool? If you’re looking for simplicity, look no further than TweetDeck, Tweriod, Commun.it and Paper.li. These are free tools that expand on Twitter’s most basic features. Click to Tweet is incredibly handy if you have a WordPress site because you can install the free plugin to generate links directly from the WordPress editor, making it easy for readers to share your content.